Marisa is a multi disciplinary artist working in words, sound and visuals who has performed nationally and abroad. Her sublime and visually illustrative poetry performances have appeared at the ‘07 and ‘09 Queensland Poetry Festival with current invitations to perform at the 2011 QPF and for the 2011 Brisbane Festival Under the Radar, combining experimental sound works with spoken word. Her chapbook ‘Fire in the Head selected works 1995 – 2006’ is published through Outsiders press, edited by David ‘Ghostboy’ Stavanger. 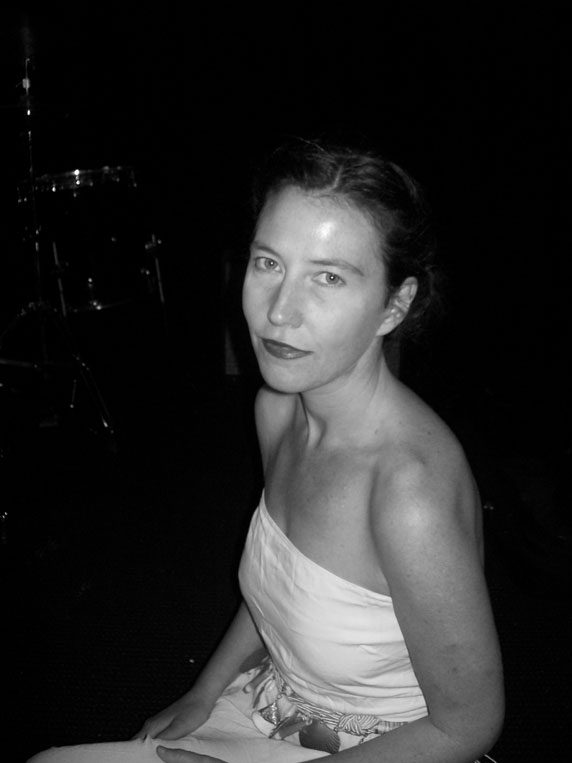 She has appeared as part of the Riverbend Poetry series readings (’10) in Brisbane. Published in Going Down Swinging, Cottonmouth, Speedpoets Zine and Outsiders and regular readings at Speedpoets and Outsiders she was a Woodford Wordfood Slam finalist (‘07/08) and also performed at the Village Festival in Yeppoon QLD (’08). Along with poetry she has collaborated in live spoken word and recordings with violin for Shane Koyczan (QPF ‘07). Marisa is the front woman for the Qmusic award nominated avant folk, experimental blues act Bremen Town Musician as violinist, vocalist and songwriter and the band performed at QPF 2009. She has toured throughout the United States as violinist to American/ Icelandic country folk act The Foghorns (’07) and has performed solo at Speedpoets, Outsiders and various venues throughout Queensland since 2005..